KARACHI: Restrictions over large swathes of Pakistani airspace continued to affect numerous flight routes, officials said Tuesday, weeks after clashes between Pakistan and India brought the nuclear-armed rivals to the brink of war. The continued constraints come weeks after Pakistani authorities said they had fully reopened the country's airspace after it was closed for days following clashes and aerial dogfights between the two countries late last month. "All entry and exit points to and from India remain closed," a senior Pakistan official told AFP on the condition of anonymity, saying the decision to keep portions of the country's airspace closed was reviewed daily by authorities. The closure of large swathes of the eastern airspace effectively shuts off major international flight routes in and out of Islamabad and Lahore along with select domestic routes. "At least seven domestic and four international destinations are suspended," Pakistan International Airlines spokesman Mashud Tajwar said. The national carrier's operations to India, Bangkok and Kuala Lumpur have all been suspended for nearly a month causing heavy losses to the already struggling airline. "We can't give an off-hand estimates of the losses but yes the losses have been occurring for sure," Tajwar told AFP. Aviation experts said the ongoing restrictions have also affected Indian flights headed west over Pakistan. "Indian airlines are suffering much more compared to Pakistan because their westward operations are much bigger," said Sajid Habib, a former chief of state-run Civil Aviation Authority (CAA). Information from online flight tracker flightradar24 showed no flights along the border between the two countries. The crisis between the countries was first sparked by a suicide bombing in Indian-administered Kashmir last month that killed 40 Indian security personnel and was later claimed by the Pakistan-based Jaish-e-Mohammad. Days later India responded with a cross-border air raid on Pakistan that kicked off a quick succession of attacks and dogfights between the arch-rivals over the disputed Kashmir frontier that spurred fears of wider war erupting. 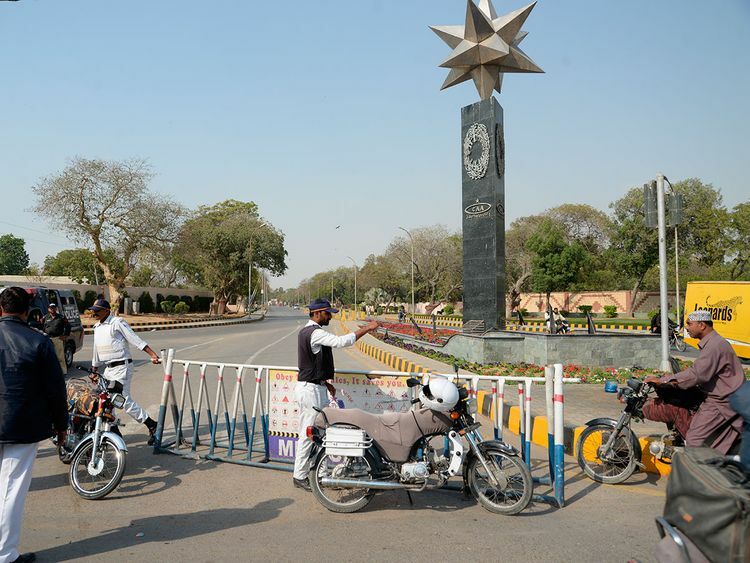 The ongoing flight restrictions come as the government prepares to close the airspace over the capital for half a day for Pakistan Day on March 23, with Islamabad set to host a parade accompanied by a military air show.